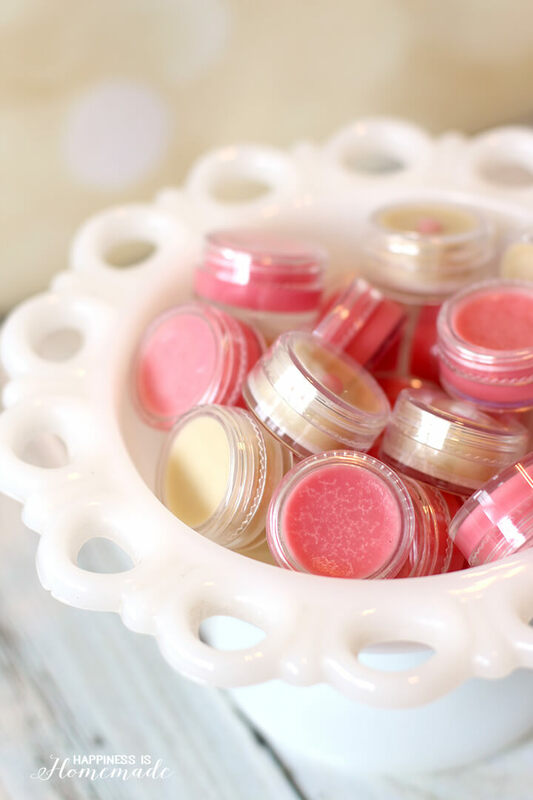 These quick and easy DIY soap and sugar scrub recipes are the best of the best! 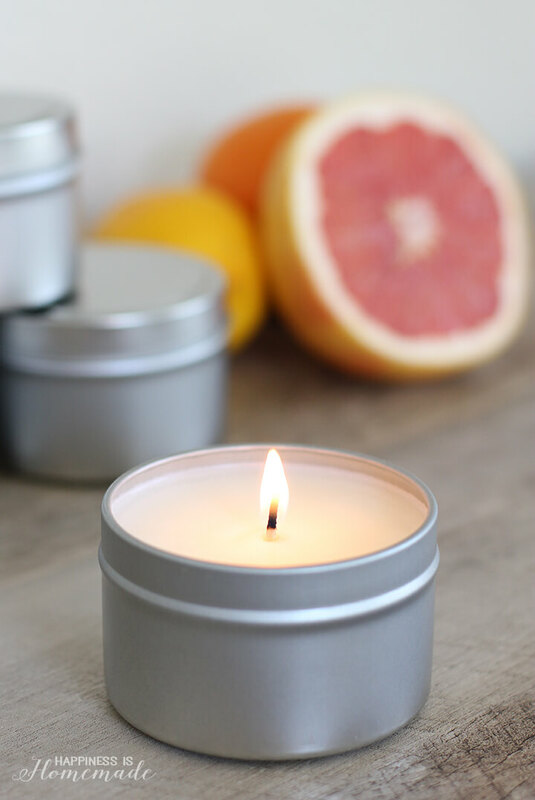 They make fantastic homemade gift ideas for friends, family, neighbors, and teachers – perfect for the holidays! Best of all, each of these can be made in under 15 minutes! 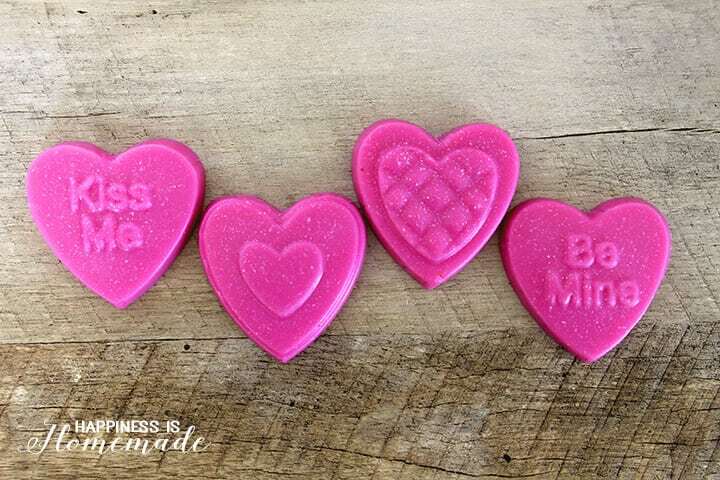 Making your own bath and body products is an incredibly fun and satisfying experience, and it’s the perfect quick and easy craft for beginners and “non-crafty” folks! 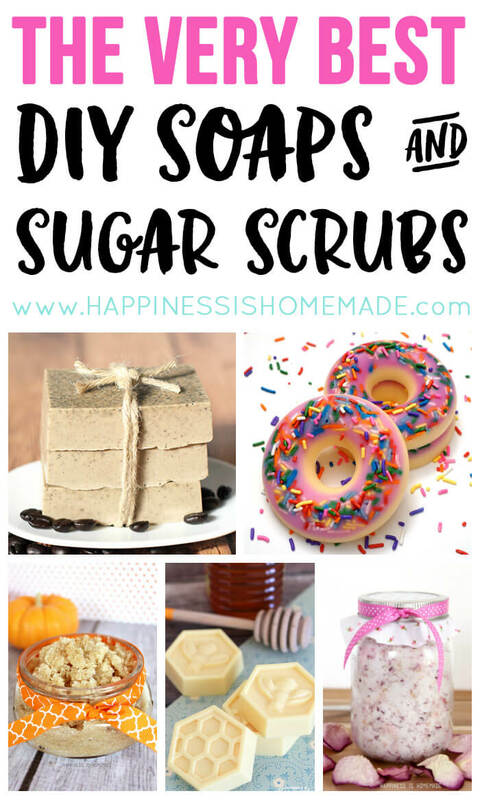 These DIY soap and sugar scrub recipes are some of my most favorites ever (they really ARE the best of the best! ), and they all make wonderful gift ideas for friends, family, teachers, and neighbors (Hint, hint! The holidays will be here before you know it!). In addition to soaps and scrubs, I also included a luxurious body butter recipe and a couple of soothing salt soaks as well. Enjoy! 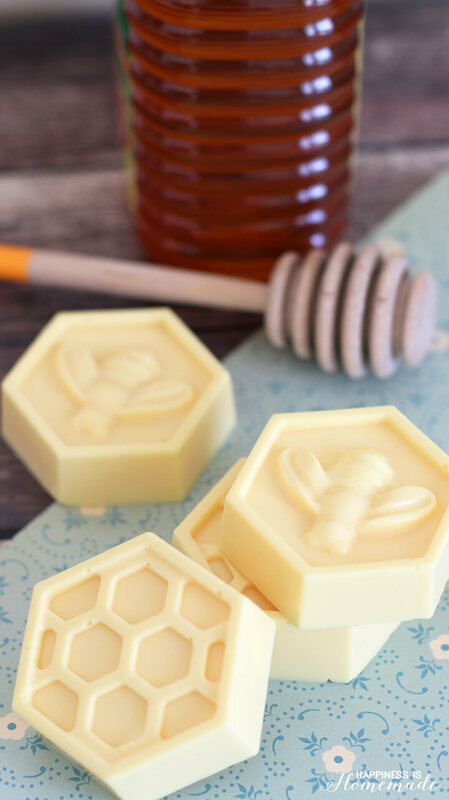 This Milk & Honey Soap boasts anti-aging and moisturizing properties. 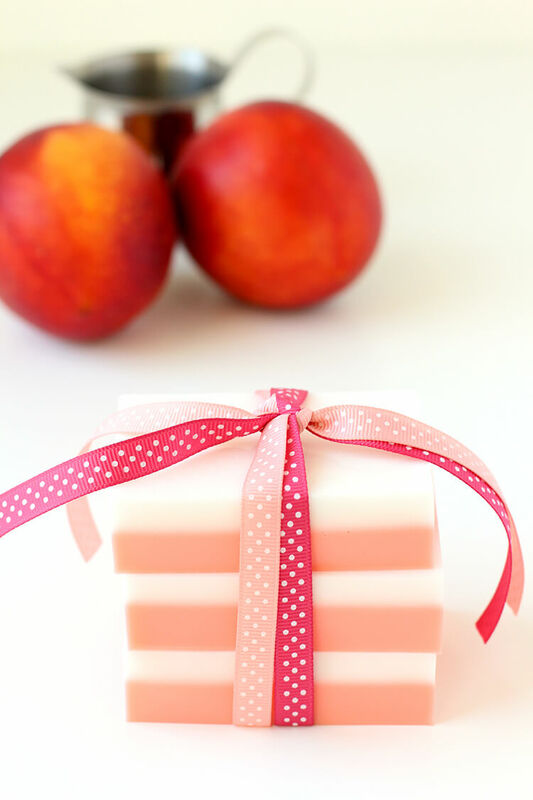 Peaches and Cream Soap is wonderful for your complexion. 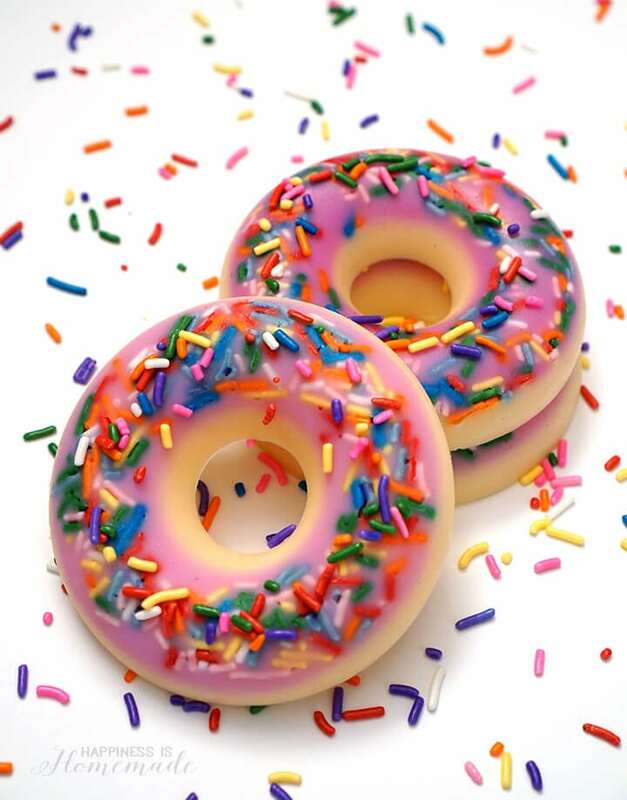 This DIY Donut Soap smells just like real donuts – YUM! 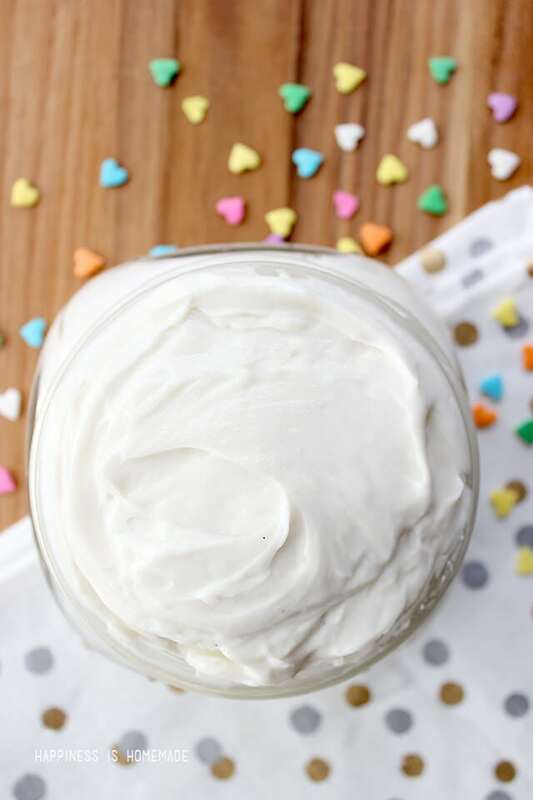 Whipped Sugar Cookie Body Butter is a luxurious treat for your skin. 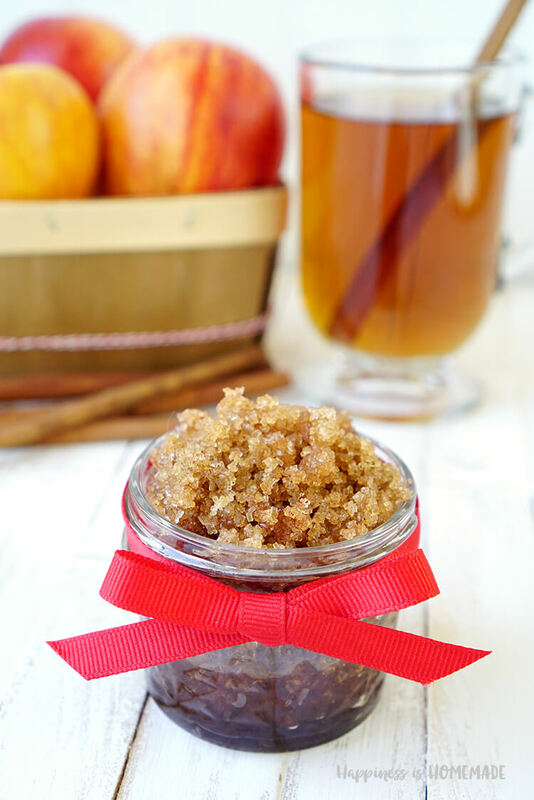 Spiced Apple Cider Sugar Scrub smells heavenly! Don’t toss out old bouquets! 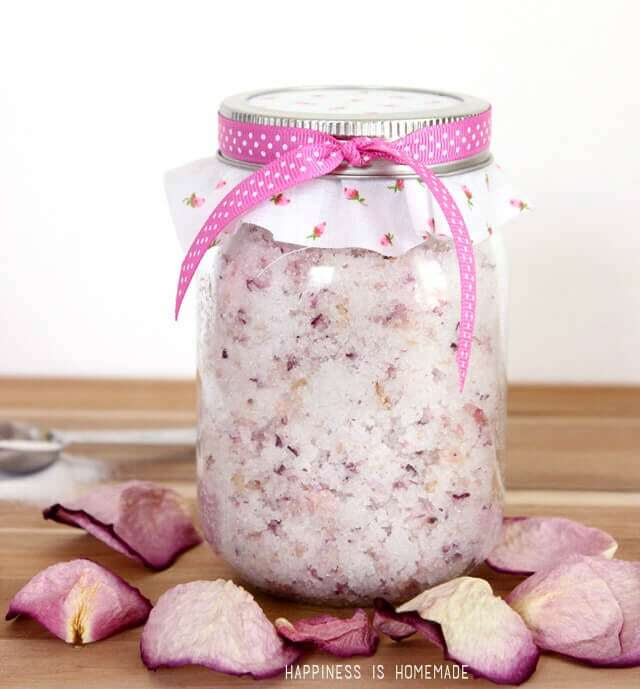 Turn them into this Spa Style Rose Petal Sugar Scrub. 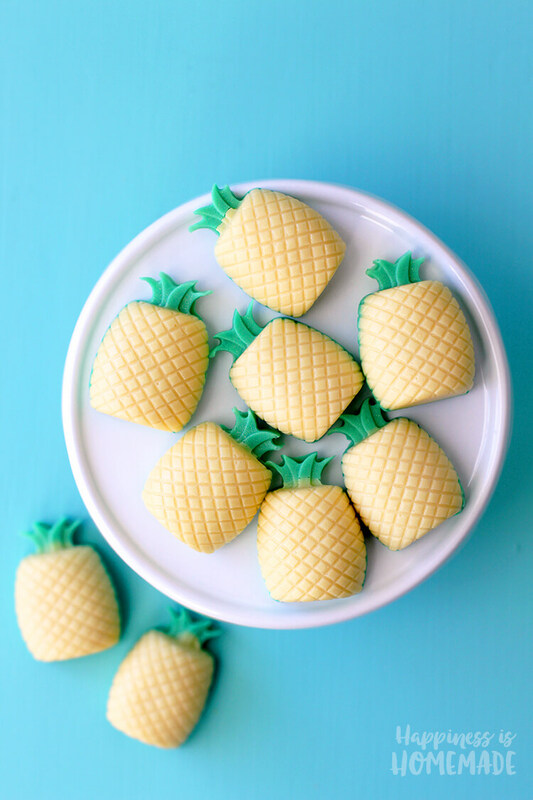 These Mini Pineapple Soaps smell just like piña coladas! 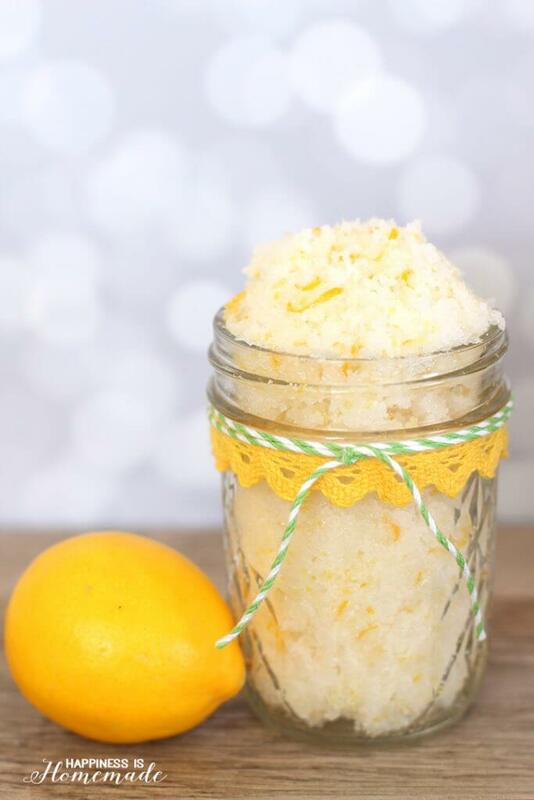 This Lemon Lime Coconut Sugar Scrub contains ingredients that help you relax and relieve stress. 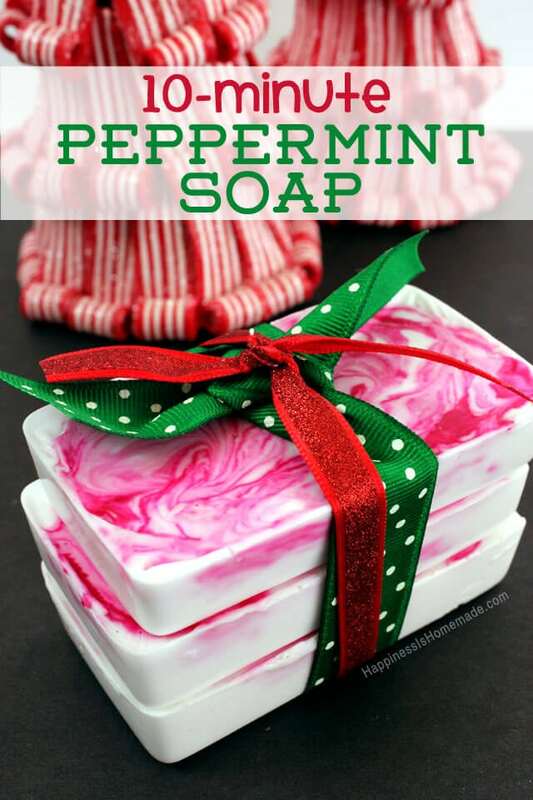 10-Minute Peppermint Soap is a popular and well-loved homemade holiday gift idea! 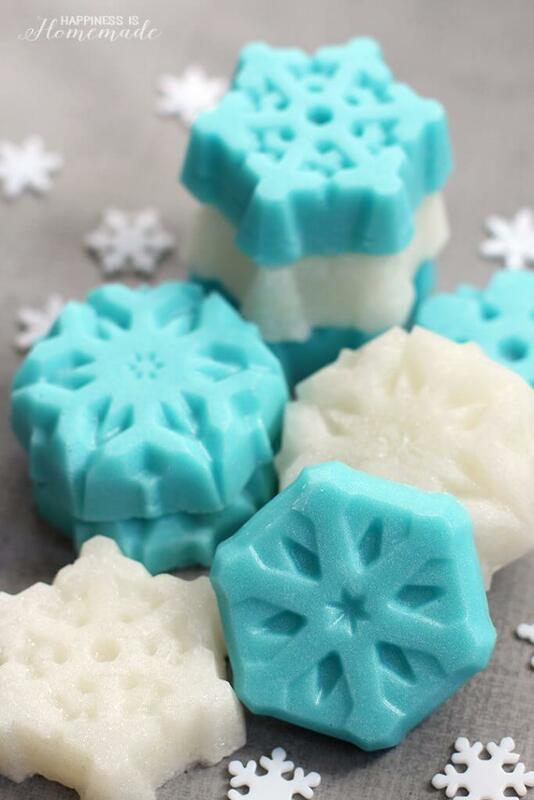 Shimmery Snowflake Sugar Scrub Cubes make a great stocking stuffer idea, too! 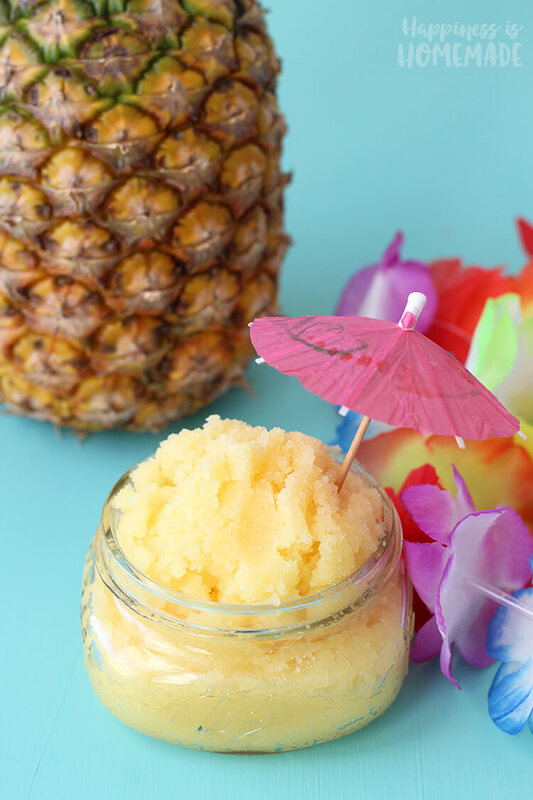 The tropical combination of pineapple + coconut is irresistible in this Piña Colada Sugar Scrub! 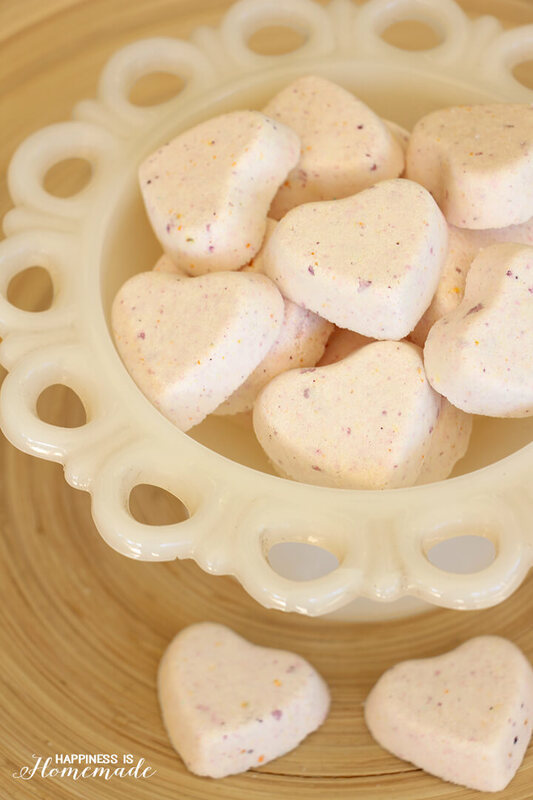 Cranberry + Pomegranate Soap in heart shapes makes a cute Valentine’s Day gift idea! Hit the gym too hard? 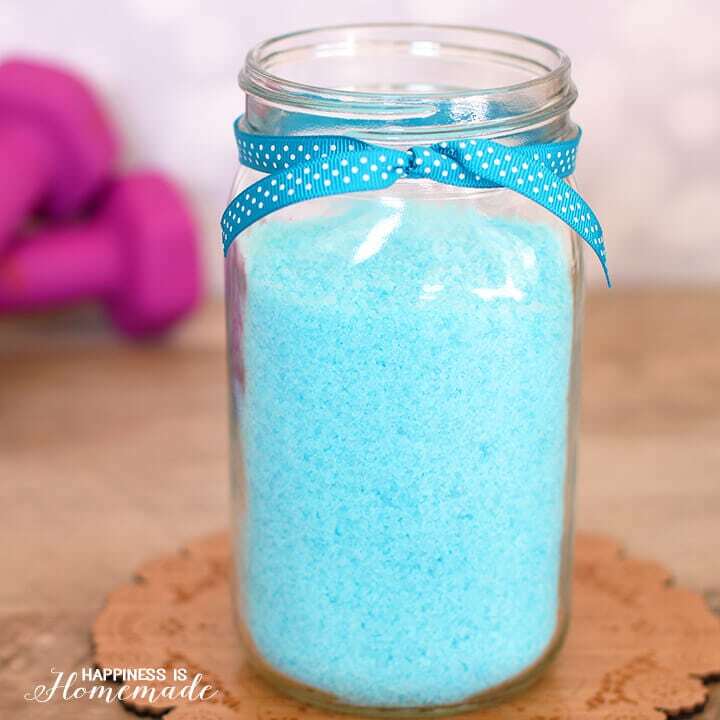 This Sports Soak is perfect for tired, sore, and achy muscles. 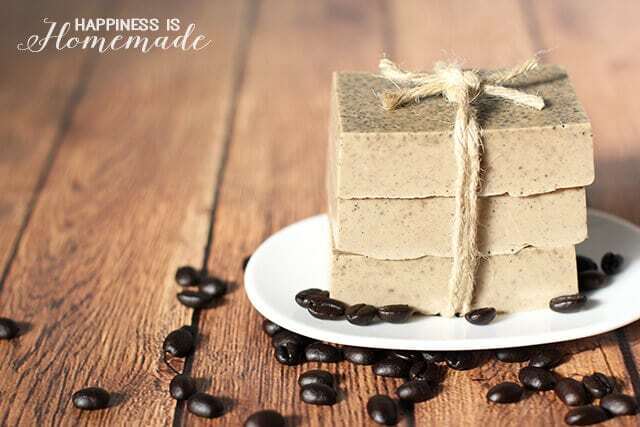 This Coffee & Milk Soap is packed with exfoliating and energizing coffee grounds. 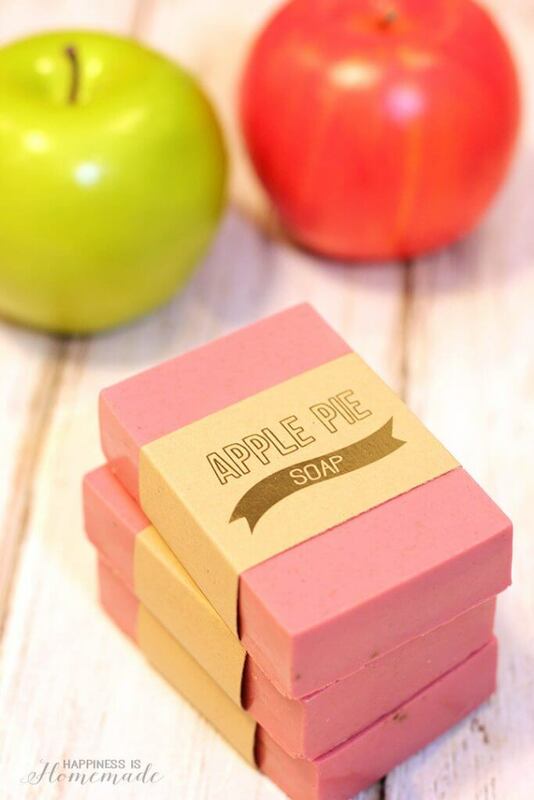 Apple Pie Soap smells delicious, and there’s even a free printable label! 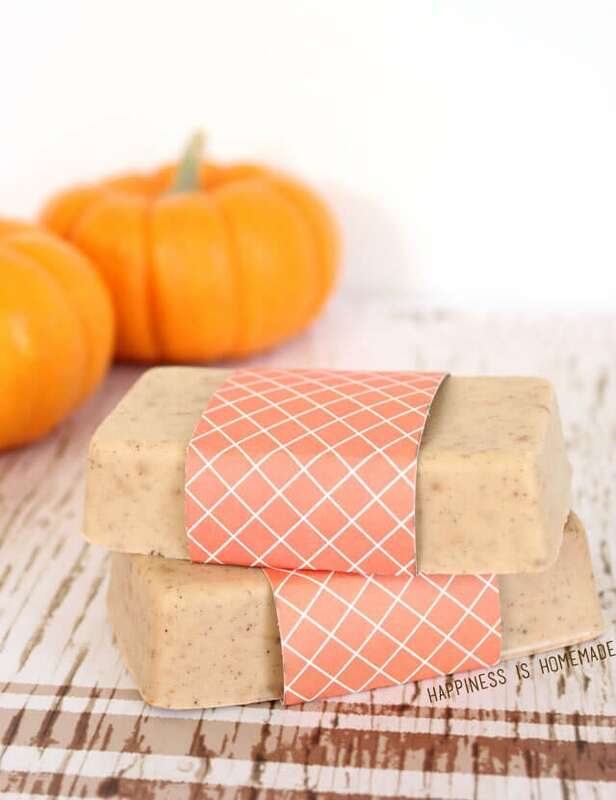 Pumpkin Spice Soap is my favorite. It smells just like fall, and it’s SO easy to make! 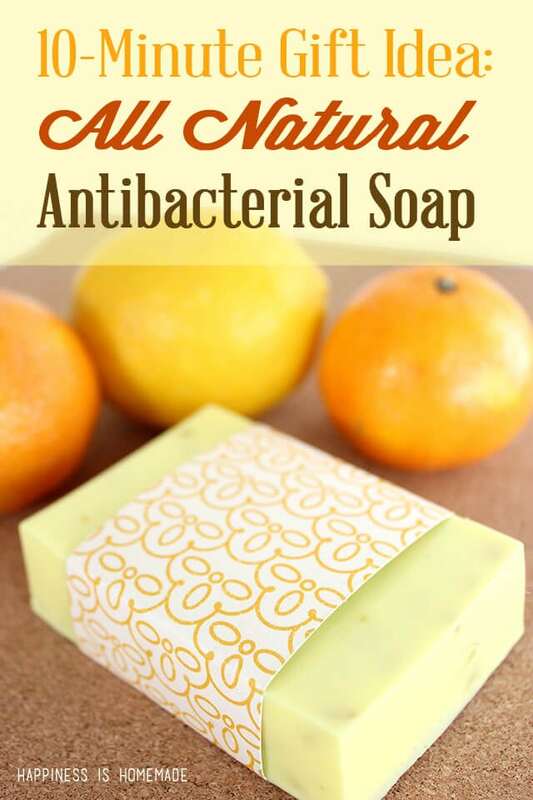 This Antibacterial Citrus Soap contains natural ingredients with disinfectant and immune boosting properties. 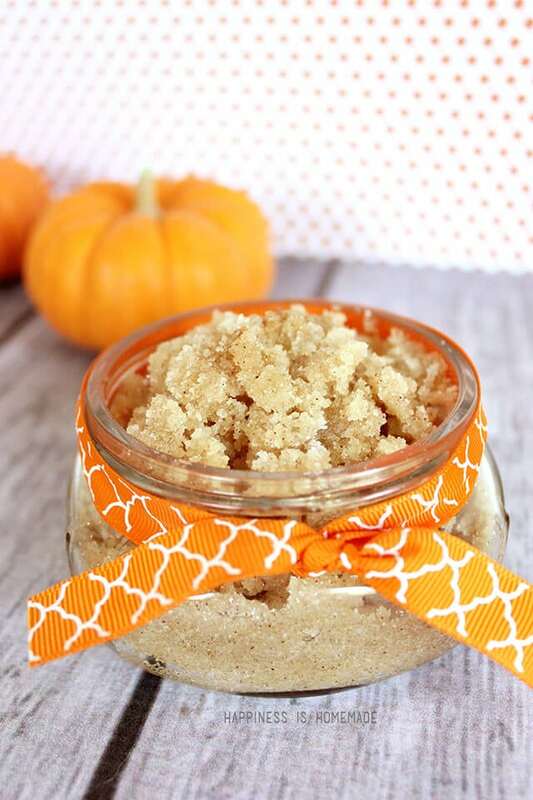 This Vanilla Pumpkin Spice Sugar Scrub smells out-of-this-world incredible! 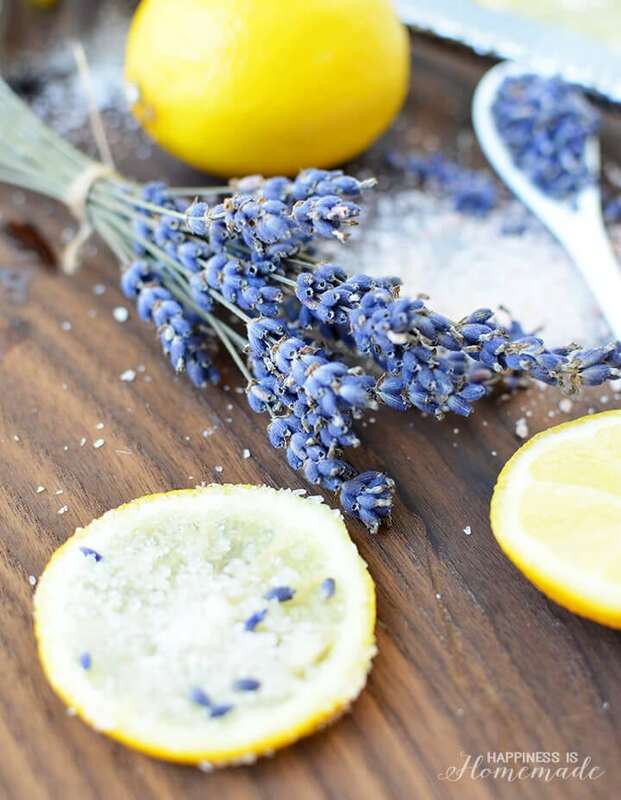 Lemon & Lavender Salt Soak is refreshing and soothing to the senses. 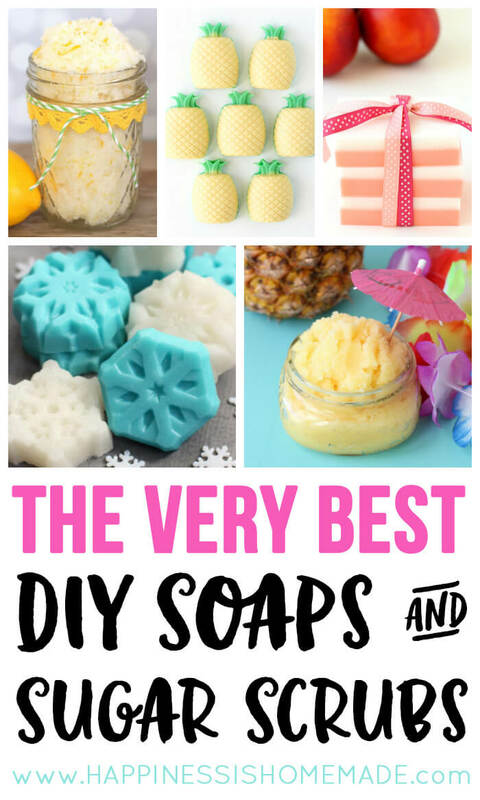 These recipes truly are the very best DIY soaps and sugar scrubs that I’ve ever created (and I’ve made a LOT!). I know that once you start making them, you’ll be hooked, just like me! It’s a TON of fun! If you love these ideas, don’t forget to pin them!